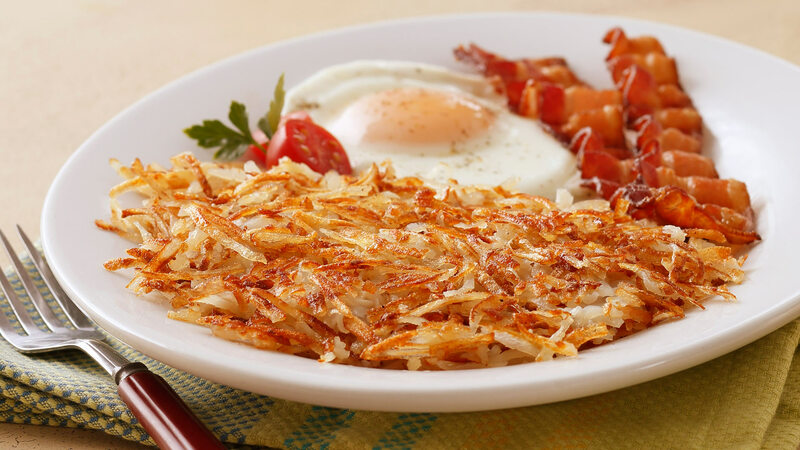 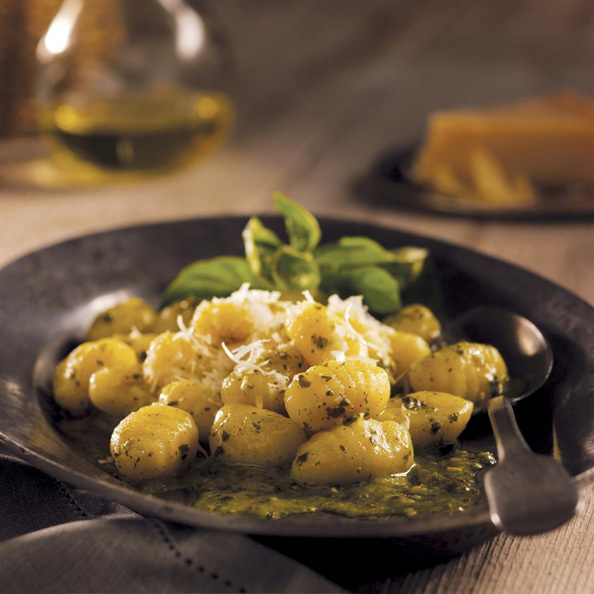 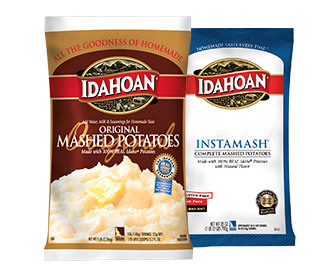 Achieve consistent from-scratch taste and fluffy texture no matter the time of the year or potato varietal. 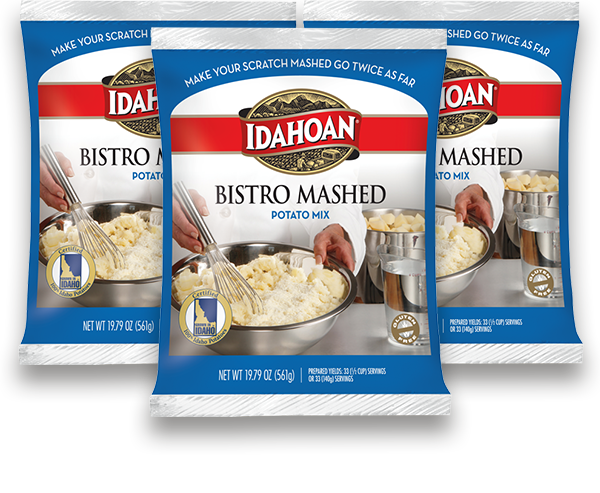 Enjoy the convenience of having all the ingredients needed for your scratch batch in one packet. 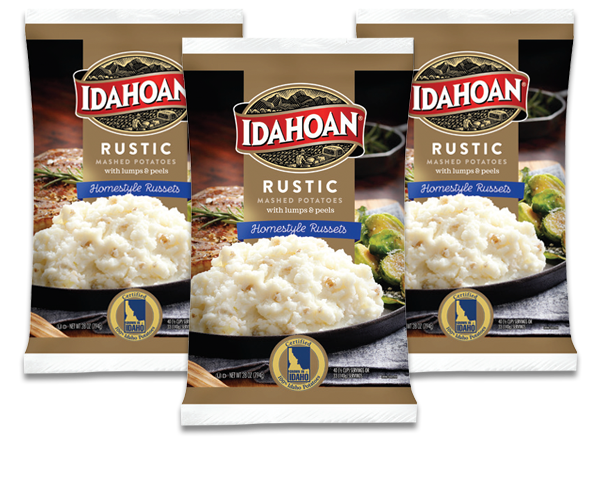 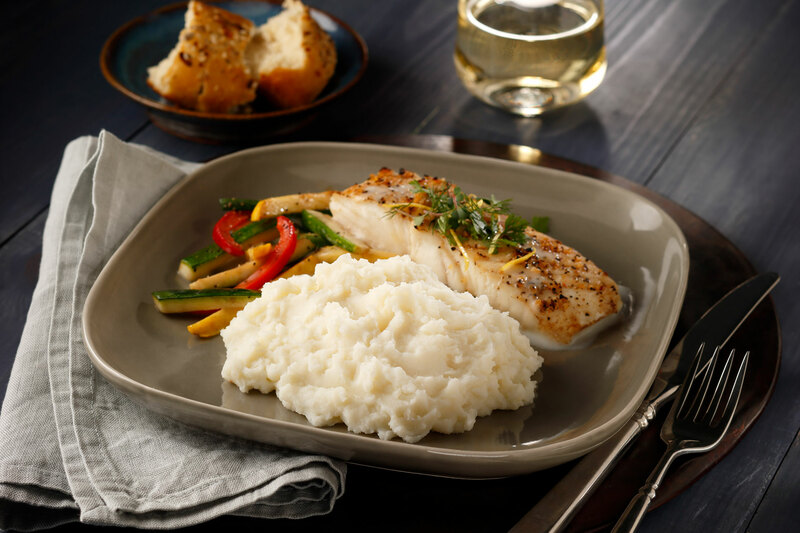 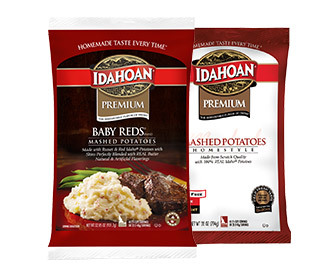 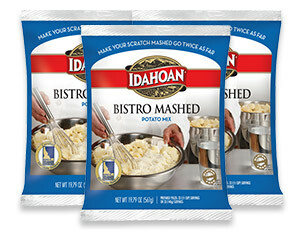 Double your yield and reduce your labor, potatoes, ingredients and storage space with Idahoan® Bistro Mashed. 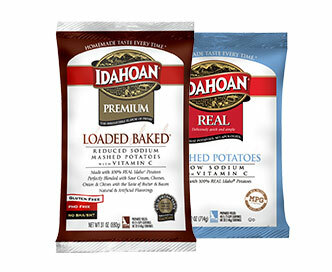 Welcome to your business’ potato solution. 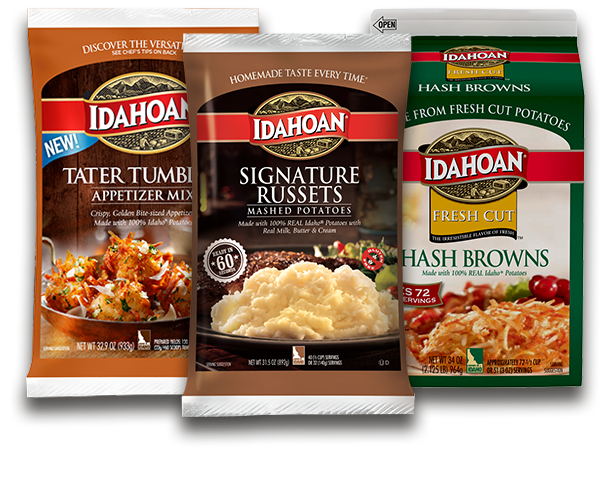 With the highest quality and fast prep times, our 100% real Idaho potatoes allow you to reduce the number of SKUs you keep. 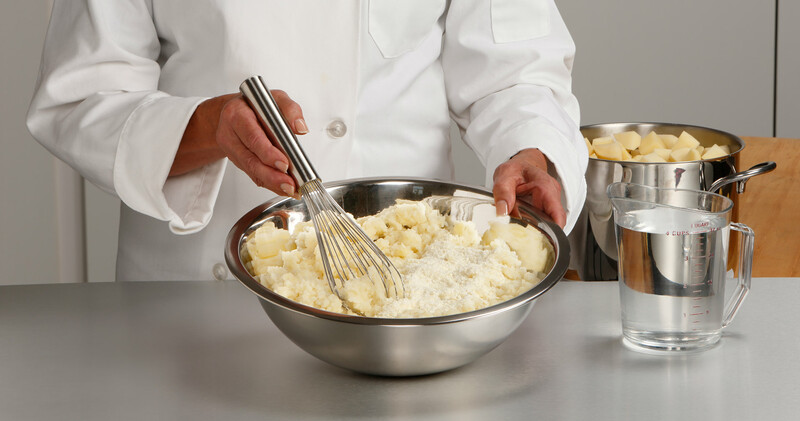 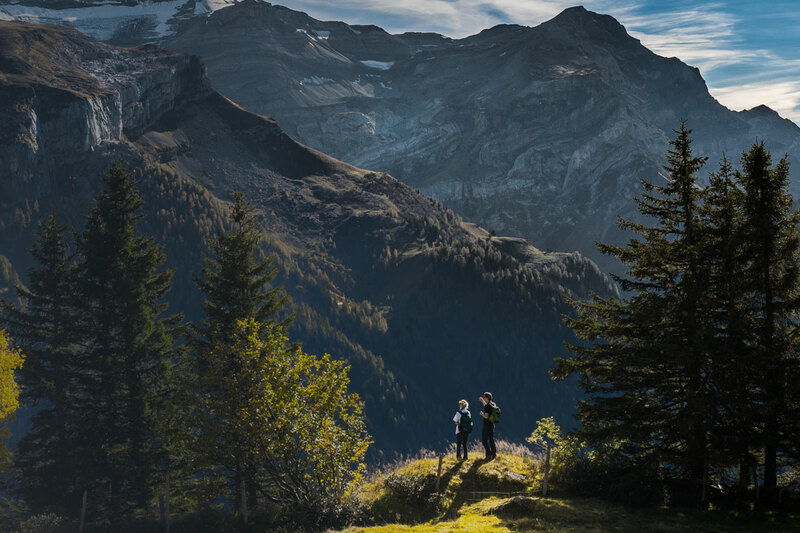 SKU reduction means improved turns and working capital. 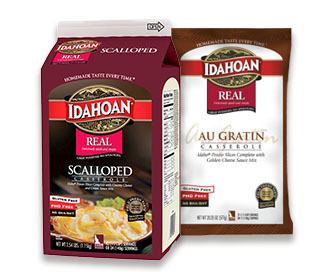 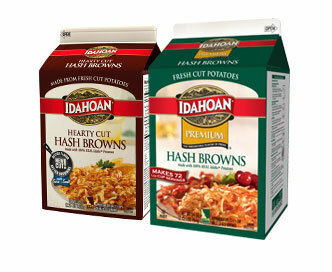 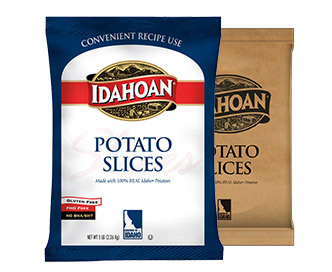 Let Idahoan fulfill all your potato needs! 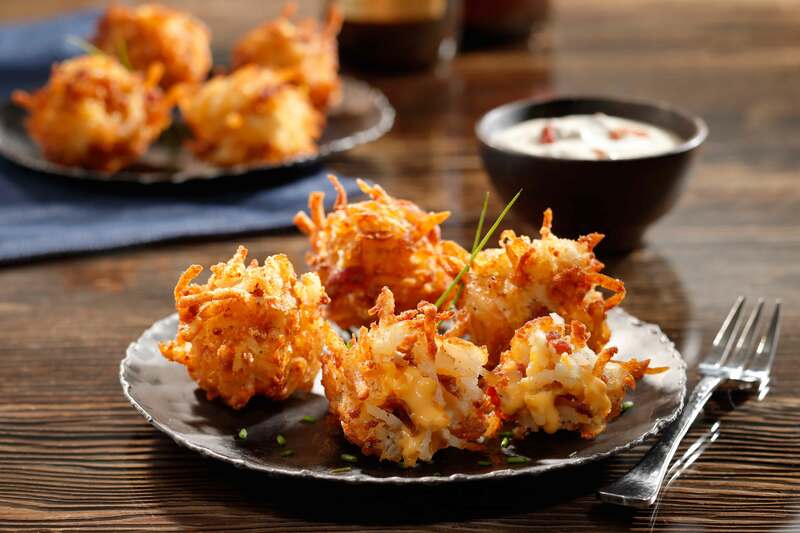 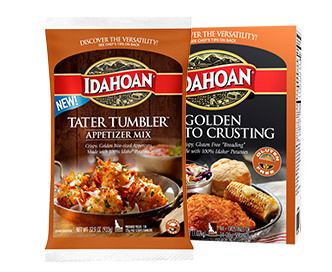 Idahoan® Tater Tumbler Appetizer Mix is perfect for leveraging the bite-size, sharable and dippable trends. 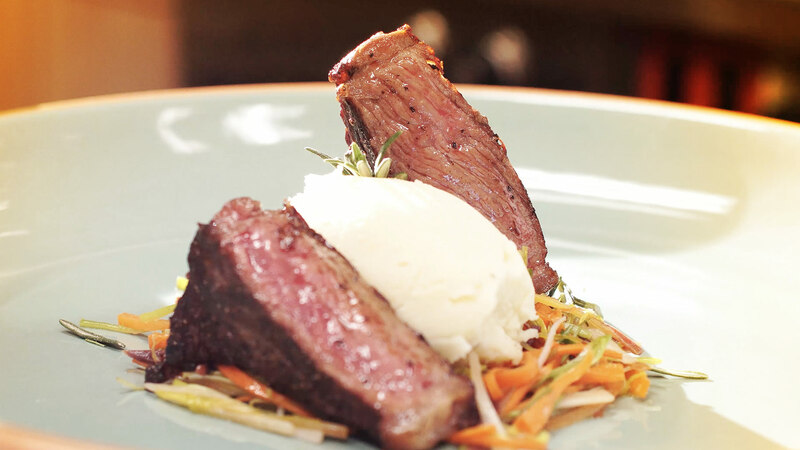 Distinguish your menu and make more margin. 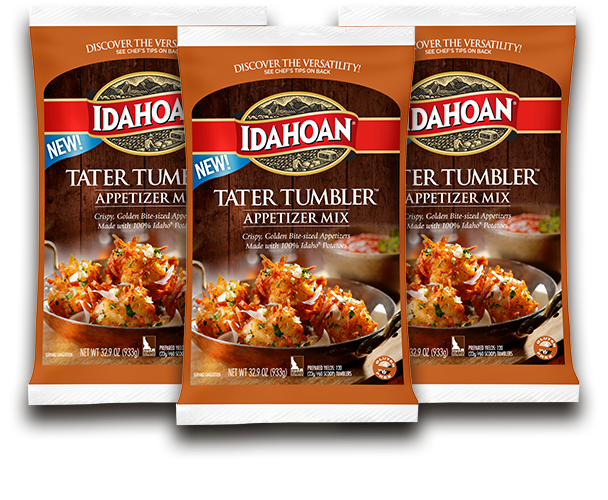 Tumblers do both. 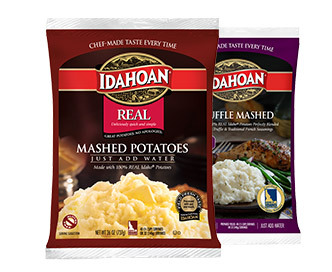 Just add water, scoop and fry or bake. 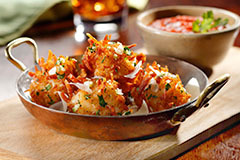 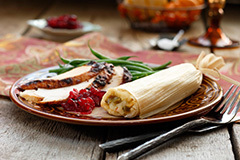 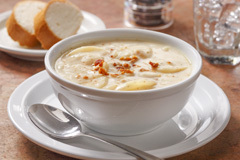 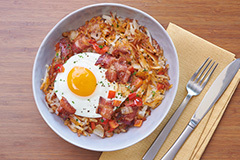 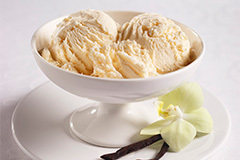 Customize with your sauces or add diced ingredients for a special touch.